The VOIspeed APP can be downloaded from the Apple Store and the Google Play Store. 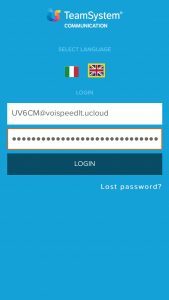 The app can only be used with extensions created on VOIspeed Cloud. On startup, you will see a window to enter the user name and password stored on the PBX phone system when your extension was created (or that which you have personalised/ changed after the first login on your User Interface).  With this information, the APP connects to the PBX UCloud and allows integration with itself and with your colleagues using similar instruments to those available in the User Interface (UI). 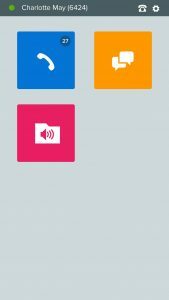 The first window after the App login will show you a series of icons illustrating the features available when using this mobile extension. In practice, the APP is made up of a collection of widgets; every widget has a function (or several functions) just like those that you are familiar with using on the UI. Phone widget identified by the icon is obviously for all those functions linked to the phone. These include user lists; phone book; list of calls made and keypad for making specific calls not linked to the previous ones. For further information, click here. Chat widget identified by the icon has the Chat history feature activated already. This button enables you to start new or group chats. For further information, click here. Device in use: displays the mobile/ smartphone device currently in use. 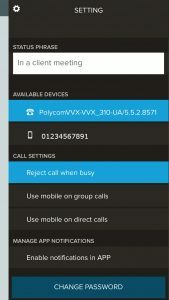 Use the mobile for incoming calls received when belonging to a group.